Up your home décor game with some glamorous addition. The Bohem with Ring Vase is made with a combination of glass and metal. 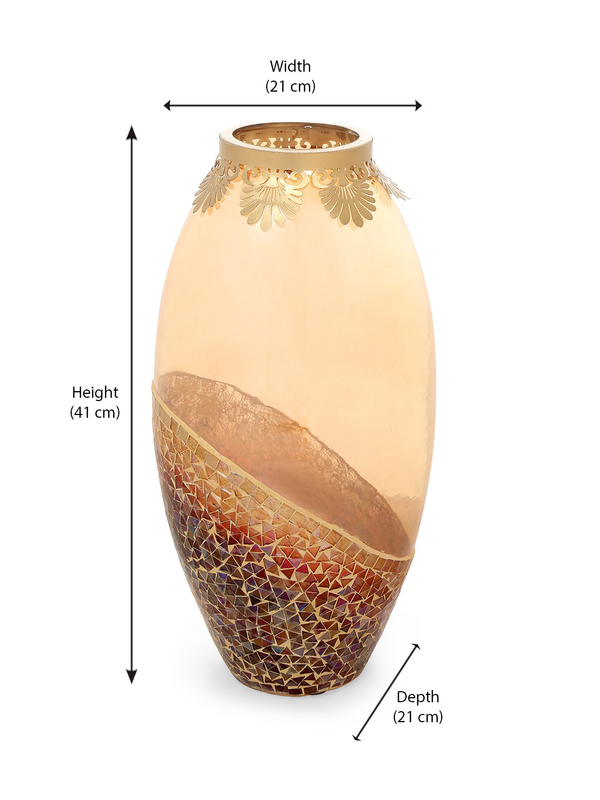 A translucent red vase is accentuated with golden designs at the rim and at the bottom. While the bottom is adorned with abstract designs, the rim is beautified with nature-inspired ethnic designs. Place an arrangement of fresh blooms in the vase or let the beauty of dried flowers take over. It can enhance the look of any space in an instant. Place it on the centre table or on the side table in the living room to make your space more inviting.